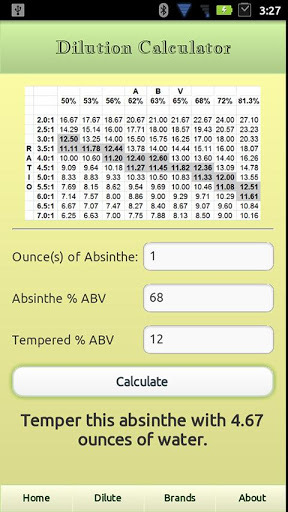 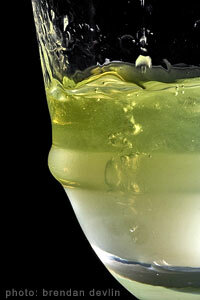 Android absintheurs, here's a great absinthe app that's very simple, and very handy! 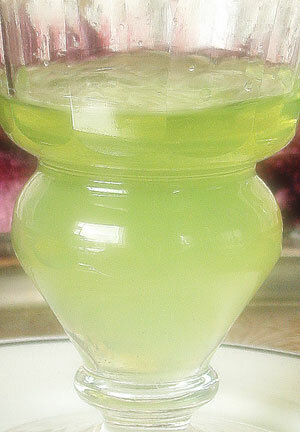 Absinthe is best when diluted to the proper strength. 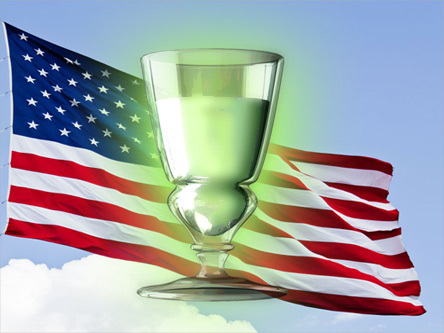 While the exact strength is a matter of personal taste, absinthe is intended to be drunk as a mildly alcoholic aperitif, more like wine than liquor, at the same range of strengths as commonly found in wine: between 12% to 15% or so.